The Online Forms app is a very comprehensive system which will allow schools to collect information from any user within their QuickSchools account (Teachers, Parents and Students) via an Online Form. Forms: These can be Custom Forms using our Custom Fields framework that you’ve seen in our other modules (details described below). Or, you can upload a fillable PDF file. 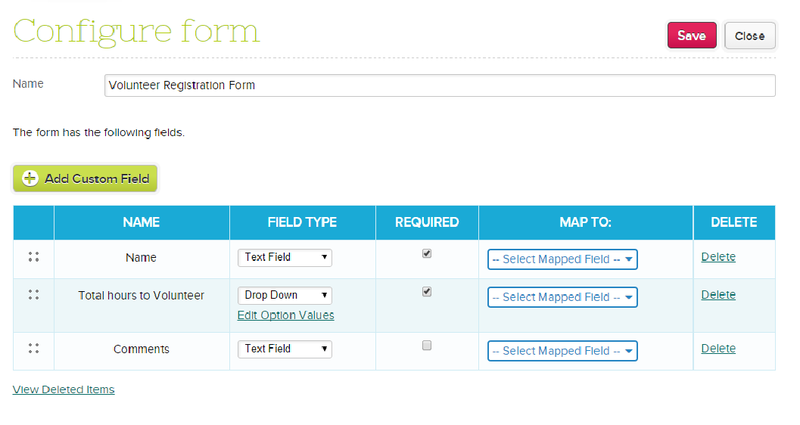 Be sure to name the fields in your fillable field helpful, descriptive names. Workflow: The system comes with built in workflow statuses for “In Progress” and “Submitted”. Feel free to add any additional statuses that would be relevant to your process like “Reviewed” or “Completed”. Advanced Settings: For advanced users, you can use this form to capture Enrollment/Registration information, as well as make it a multi-step submission process. We’ll describe more about these features in a future article. Go ahead and click “Create Custom Form” to create a custom form using our Custom Fields framework, as per the Custom Fields module you’ve seen in other parts of our software (like with Students, Teachers, Parents/Guardians, Admissions, Discipline, and Lesson Plans), feel free to add any number of fields that you’d like to track. You can control the field type, as well as whether the field is required. For the most part, you can ignore the “Map To:” field, as this is mainly for the Enrollment/Registration process where you’d like to copy over captured information from the Online Form into system fields within your QuickSchools database. So for example, you can map fields to address fields, and during the enrollment process for the Online Forms, the data from the form can be copied over to the student record. Once you’re satisfied with the Form Packet (i.e. 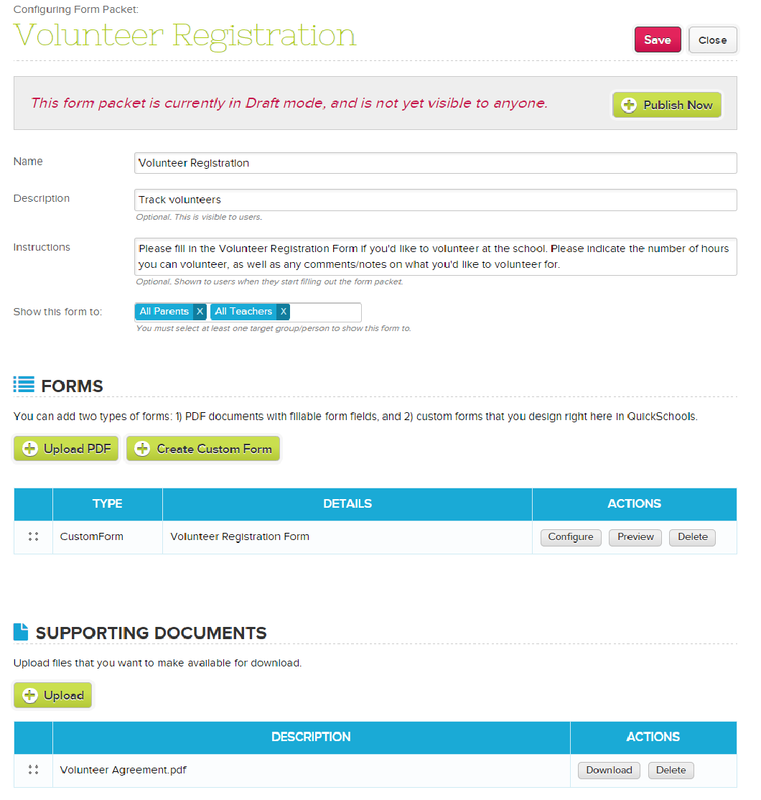 Packet description, form list, supporting documents, workflow statuses, etc), go ahead and publish the Form Packet. The form packet shows all forms required for the packet, as well as any supporting documents that can be downloaded. As the parent fills in the required fields, the progress completion status will get updated. And the “View Submissions” screen will display all forms, including forms that are in progress. Of course, please do experiment with the Online Forms system. If you have any questions, comments, or suggestions, do let us know.